Broadcast are a psychedelic/electronic band which formed in 1995 in Birmingham, England. 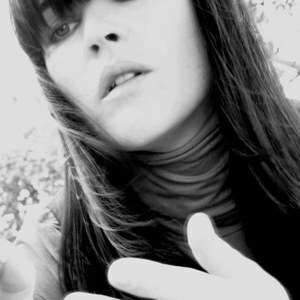 The band originally consisted of Trish Keenan (vocals), Tim Felton (guitar), James Cargill (bass), Roj Stevens (keyboards) and Steve Perkins (drums). Perkins left the band in 2000, and Stevens and Felton left in 2005 to form the group Seeland. After the January 2011 death of Trish Keenan, James Cargill is the only current member of the band. Perkins left the band in 2000, and Stevens and Felton left in 2005 to form the group Seeland. After the January 2011 death of Trish Keenan, James Cargill is the only current member of the band. The band has released four albums in their career: "The Noise Made by People" (2000), "The Haha Sound" (2003), "Tender Buttons" (2005) and "Broadcast and The Focus Group Investigate Witch Cults of the Radio Age" (2009, with The Focus Group). Cargill has stated that plans for an album featuring Keenan's final recordings is in the works. The band's style is a mixture of electronic sounds and Keenan's 1960s-influenced vocals. It is heavily influenced by the 1960s influenced American psychedelic group The United States of America, using many of the same electronic effects. It was also reminiscent of Stereolab. However, despite the similar musical pedigree, Broadcast's music is often darker and edgier in sound ? with amorphous samples and analogue dissonance giving it a retro-futuristic sci-fi edge.